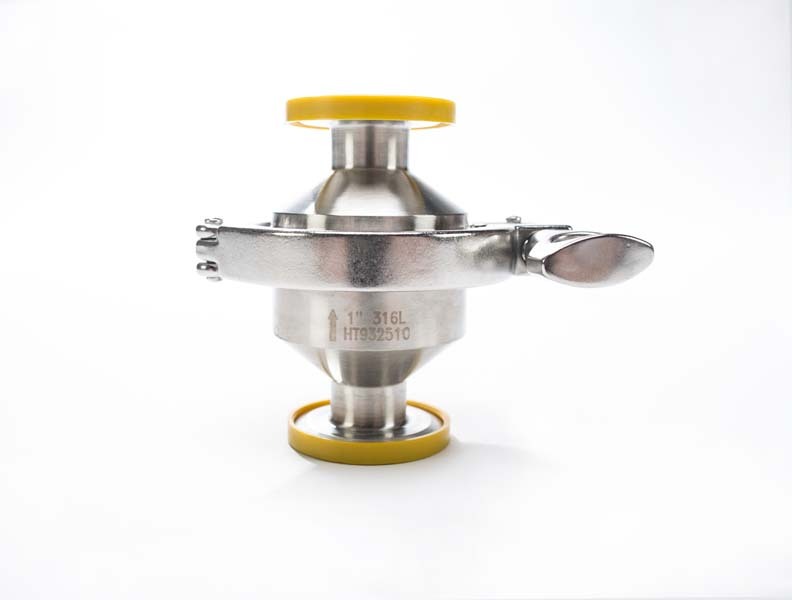 Sanitary Solutions is your source for a T316L Sanitary Stainless Steel Spring Loaded Clamp Check Valve primarily found in the Beverage, Chemical, and Food Industries where an application is needed for use when flow of product in both directions creates a problem. 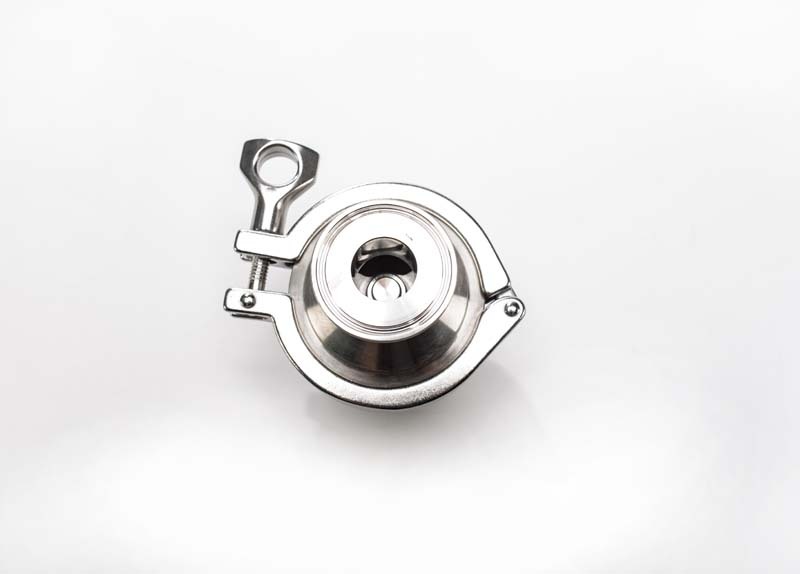 As for the surface finish of the Sanitary Stainless Steel Clamp Check Valve, our valve is polished to meet a 3-A sanitary finish. Sanitary Solutions stocks a 6" T316L Sanitary Stainless Steel Clamp Check Valve -- For Your Information when those large jobs come up! The principle behind the Spring Loaded Clamp Check Valve-- Spring Loaded Check Valves open when pressure below the valve seat is greater than above the valve seat. Therefore when pressure equalizes, the valve closes. Clamp connection for easy on/off and simple assembly/disassembly for cleaning, inspection or replacing any worn parts. Our valve comes standard with a Viton® stem O-ring and Body gasket, T316L Flow Plate and Stem, and a T304 Stainless Steel Spring. 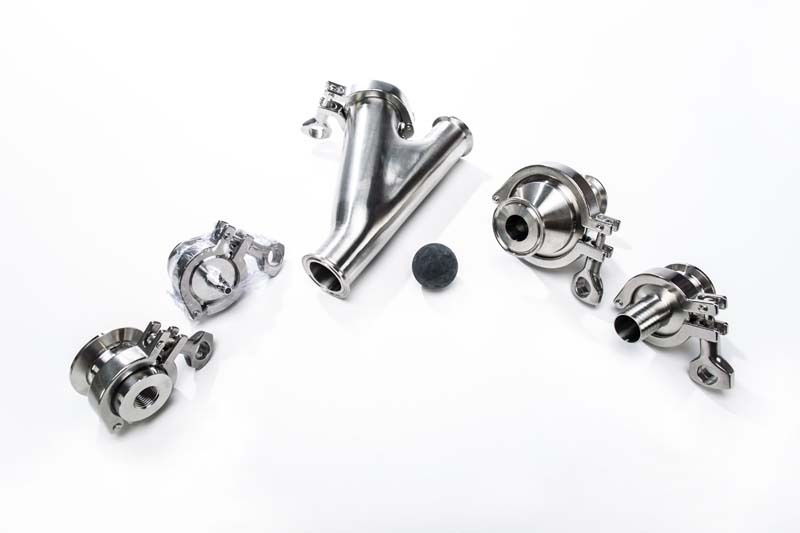 We also cap and bag the ends of the valve so your valve arrives in pristine condition and have the valve permanently marked with the size, alloy and a Heat Number for full trace ability. Remember: We STOCK all sizes of clamp check valve repair kits. 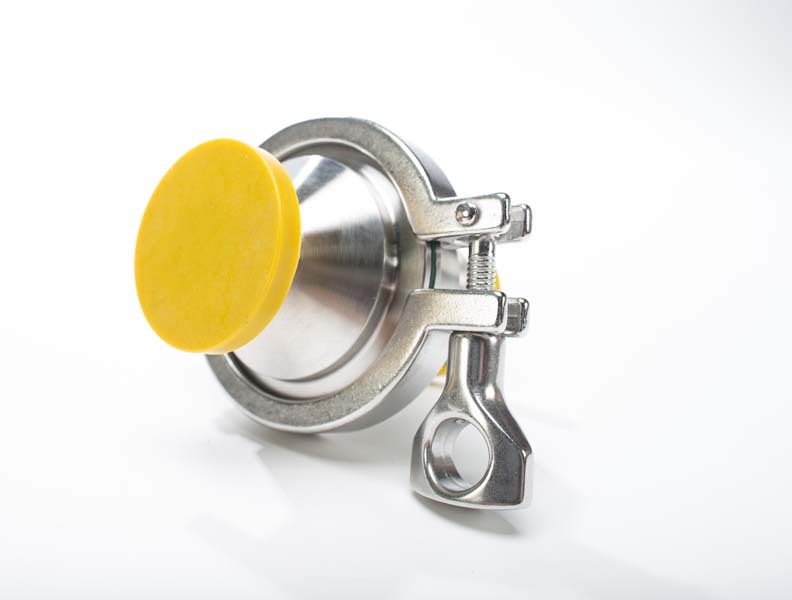 Take a moment and download the PDF Valve Sheets on pages 2, 3, 4 in our "NEW SANITARY SOLUTIONS VALVES/PRODUCT RECOVERY SYSTEM CATALOG" and you will see that the Clamp Check Valves have the (cracking) opening pressure/weight, product specifications and a product breakdown for each valve for your reference. 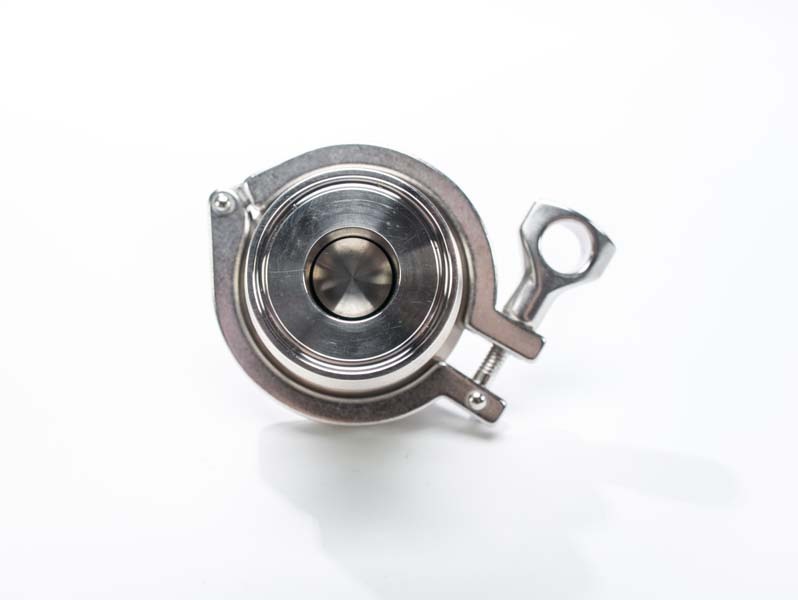 If you are in need for a fractional clamp check valve, call our sales team as well have access from our domestic fabricator for either fractional size needed. When you need a Horizontal or Vertical Sanitary Stainless Steel Clamp Check Valve with or without guide fingers or if you need a repair kit for our valve, call us at 1-888-909-3569 or 1-855-640-7871 for same day shipments.